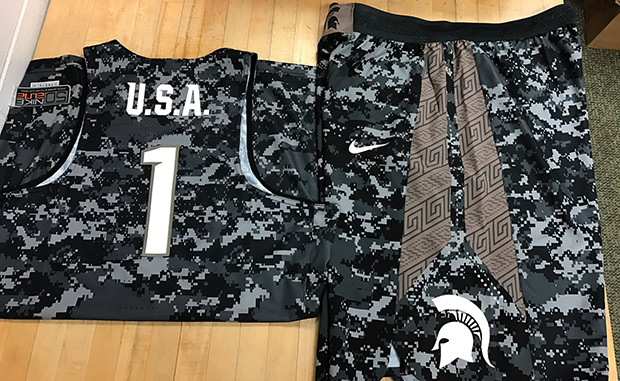 For Veterans Day, Nike has teamed up with select schools for special edition on-court gear to pay homage to the United States Armed Forces. 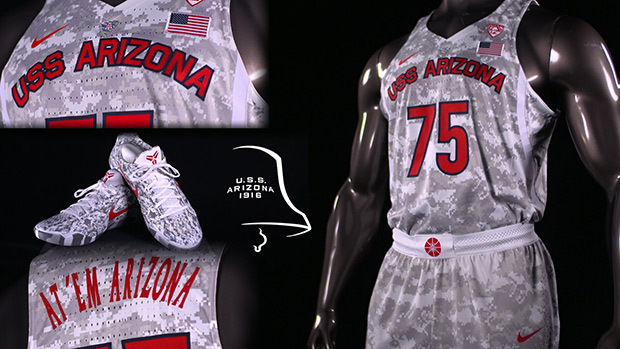 Arizona will take on Michigan State at the Stan Sheriff Center in Honolulu, HI donning camouflage-print jerseys and footwear emblazoned with alternate names for that exra patriotic vibe. 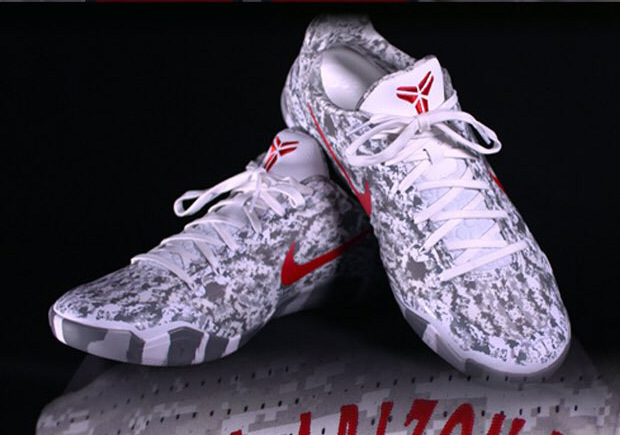 We know that Arizona will get a Kobe 11 in grey/red with a camo-print upper, and we expect the same for the Spartans, who have been flaunting some KD 9 PEs regularly leading up to the season. 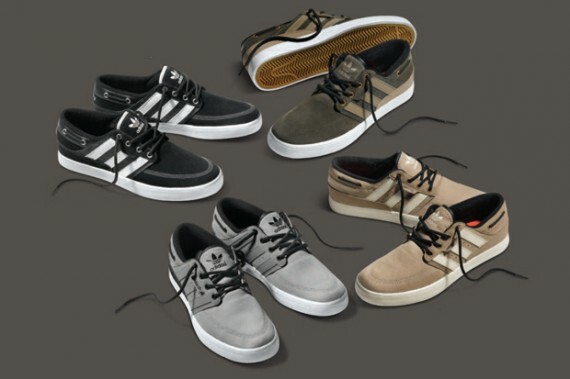 Check out a glimpse of their on-court apparel just ahead.